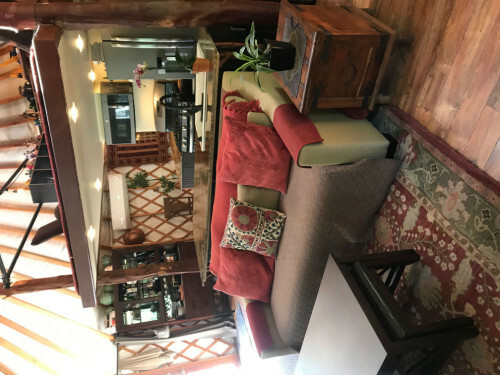 If you are looking to work from home and have creek side living with complete quiet, privacy and peace in Silicon Valley, BUT not too far from work, this is it. I\’m an Internet professional who is able to work from home in this location, easily get my kid to school and feel like I am in the middle of no where. :*) BTW Mount Madonna K-12 private school is less 3.5 miles away. Redwoods and oaks all over the property with seasonal redwood-ed creek. End of road privacy with wonderful neighbors. Redwood Retreat Rd is considered the most prestigious road in the Morgan Hill/Gilroy area with two notable winery’s, people traveling to bike the road and homes rarely coming up for sale. Rare change of season area in California and driving home you will actually feel like you are driving through Napa. It is truly amazing how the body winds down simply from traveling on our road home. 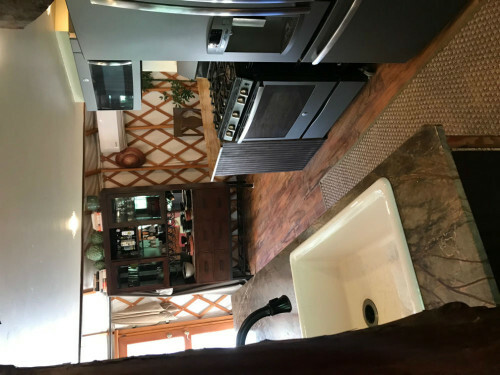 This property has three stunningly designed yurts (a 30 ft and two 20 ft) with a tall glass walled central hallway connecting them together. 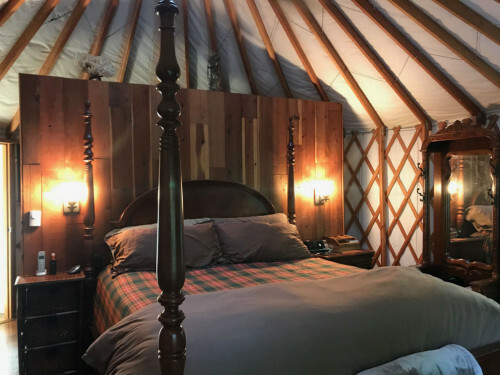 All three with the loft are approx 1400 square ft of space, Yurts have 3 bedrooms and 1 full bath plus a loft that we use as the play area. New appliances, include dishwasher and side by side fridge, full size LG washer and dryer, walk in closet, pantry, tons of storage, expensive custom kitchen cabinets, propane fireplace on a thermostat, radiant floor heating, mini split A/C and heat, instant hot water heater, this is not like any yurt you have ever seen. We have been able to secure homeowners insurance and umbrella policy with insurance including fire and had an onsite walk through by our insurance agency. Great land for a gardener with lots of sun and plenty of water or family who wants to raise kids safely getting dirty while playing with frogs and salamanders. Great for pets, chickens, horses, or any other livestock you\’d like. Serious inquiries only. Sending you blessings! Thanks for checking us out!